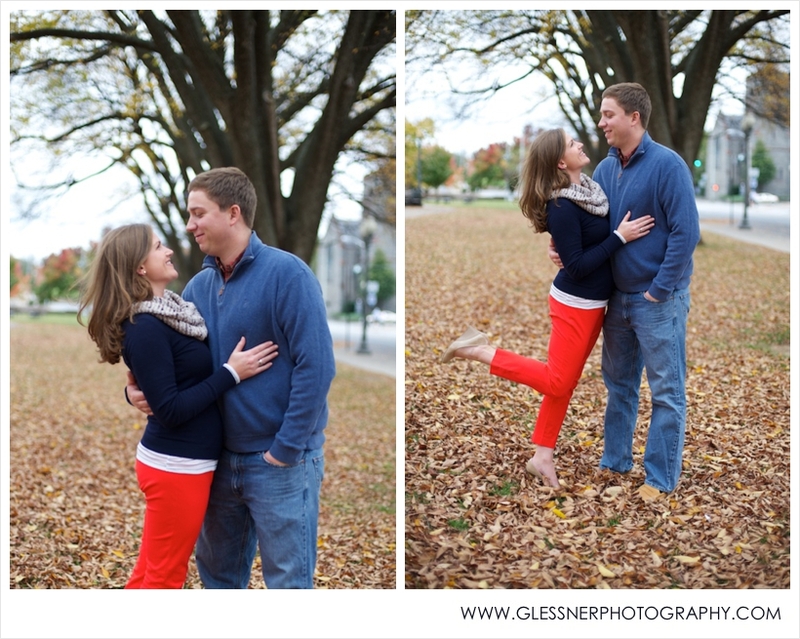 Katherine and JP met in an elevator in Arlington, Virginia, where they were neighbors. They struck up a conversation, and it wasn't long before the conversations led to dating. 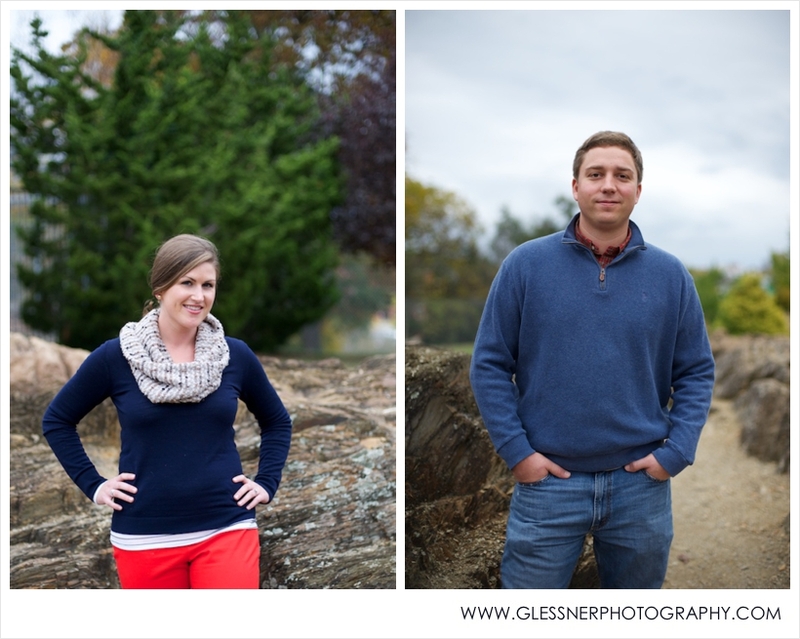 Their engagement followed a recent move to Roanoke, and I was thrilled when they asked me to photograph their upcoming spring wedding in Katherine's little hometown of Asheboro, NC. 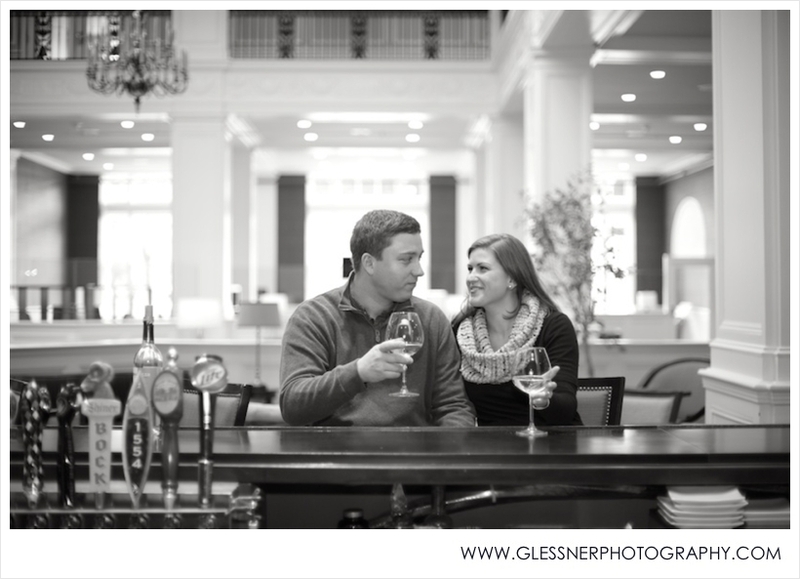 I met these two for the first time for their engagement session at The Patrick Henry, a beautiful historic building they call home. We started off with a glass of wine at the bar, both to capture one of many things they enjoy together and calm the nerves, and then headed out to the nearby areas to enjoy the lovely autumn backdrop. Don't they look like they just stepped out of the pages of a J.Crew catalog?! I am in LOVE with Katherine's style! Engaged? Contact us today to schedule your session.